The service engineers of I.S.S. 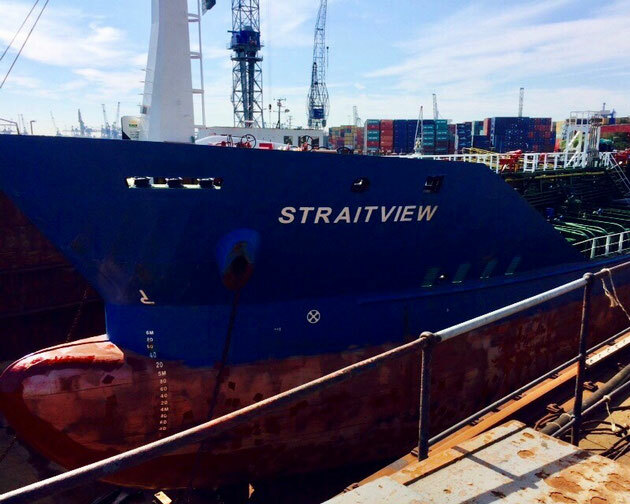 Industrial & Ship Services BV have performed a service inspection of the HTI-GESAB made thermal oil system on board of the oil tanker Straitview. The switch box, with Wiesloch alarm units and HTI-GESAB electric controllers, was tested. 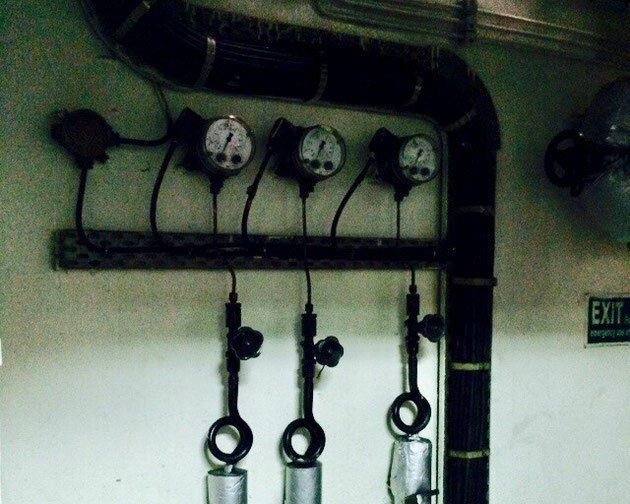 The service engineers also examined the status of the rest of the boiler system, including the different sensors, the burner motor and the burner chamber. The oil tanker the "Straitview". 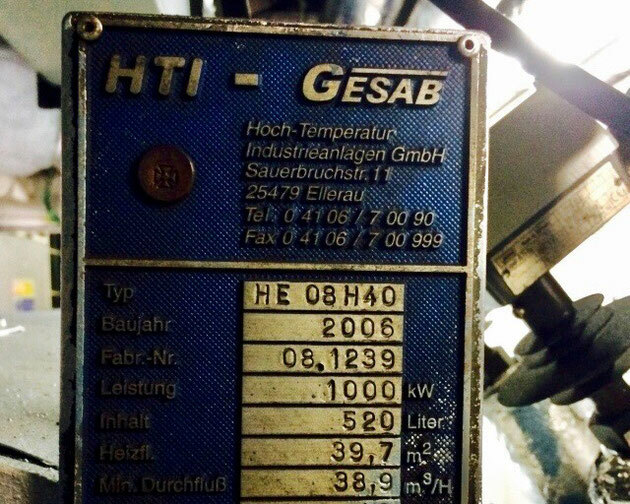 The vessel worked on a HTI-GESAB system. 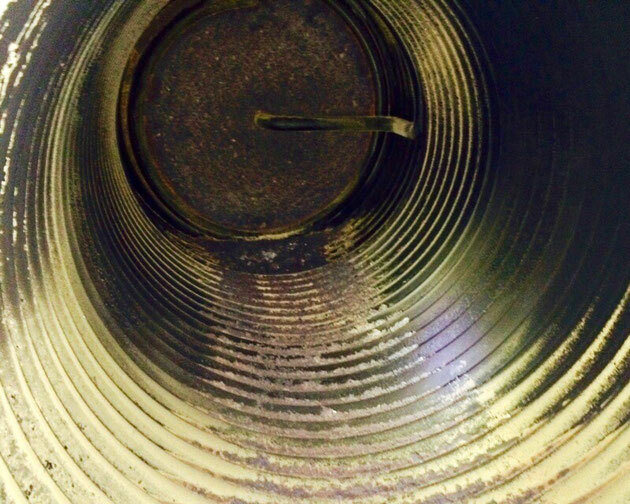 The inside of the burner chamber was inspected. 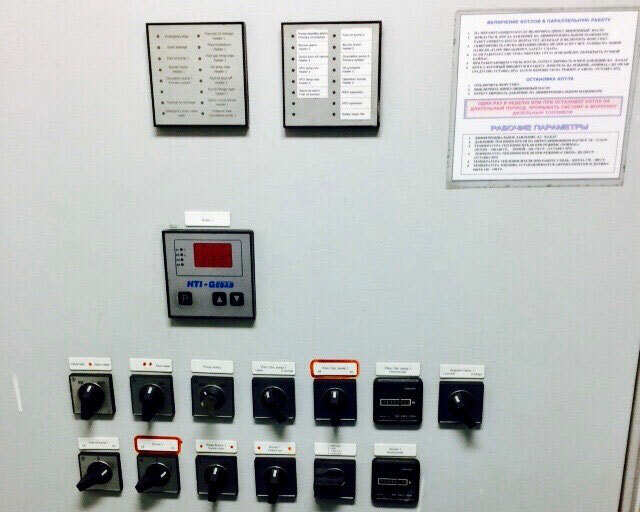 The front panel of the switch box, with Wiesloch alarm units and HTI-GESAB electric controllers. 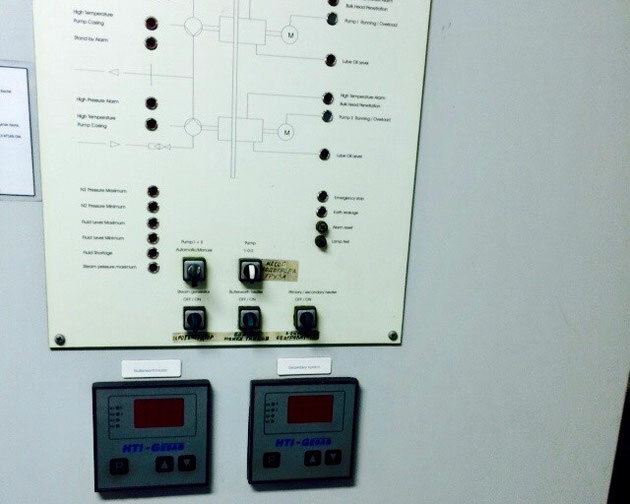 The front panel of the switch box, showing two HTI-GESAB electric controllers. 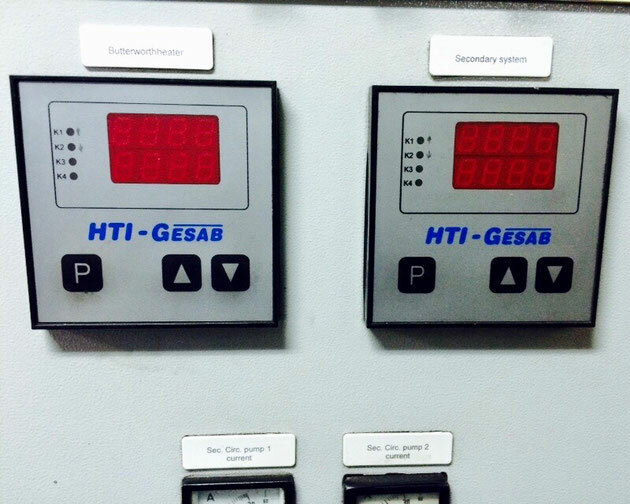 The HTI-GESAB electric controllers for the butterworth heater and the secondary system.